Zuerst habe ich meine Nägel mit 2 Schichten des weißen Lacks Butter London Cotton Buds lackiert. 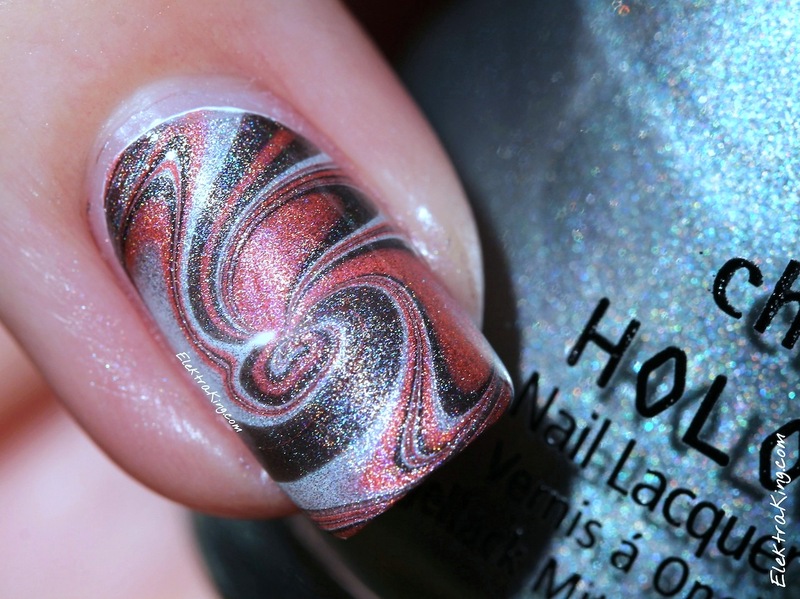 Für das Watermarble-Design habe ich drei Lacke aus der China Glaze Hologlam Collection verwendet: Don’t Be A Luna-tic, Not In This Galaxy und Galactic Gray. Die Anregung zu dem Spiral-Muster kommt von diesem Youtube-Tutorial von My Simple Little Pleasures! I started out with 2 coats of the white polish Butter London Cotton Buds. 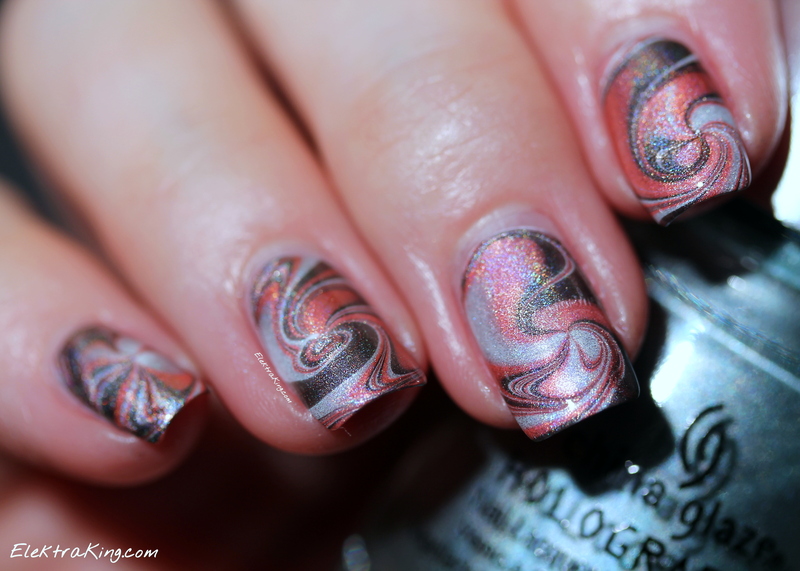 For the water marble design I used three polishes from the China Glaze Hologlam Collection: Don’t Be A Luna-tic, Not In This Galaxy und Galactic Gray. I followed this Youtube tutorial from My Simple Little Pleasures for the swirl pattern! 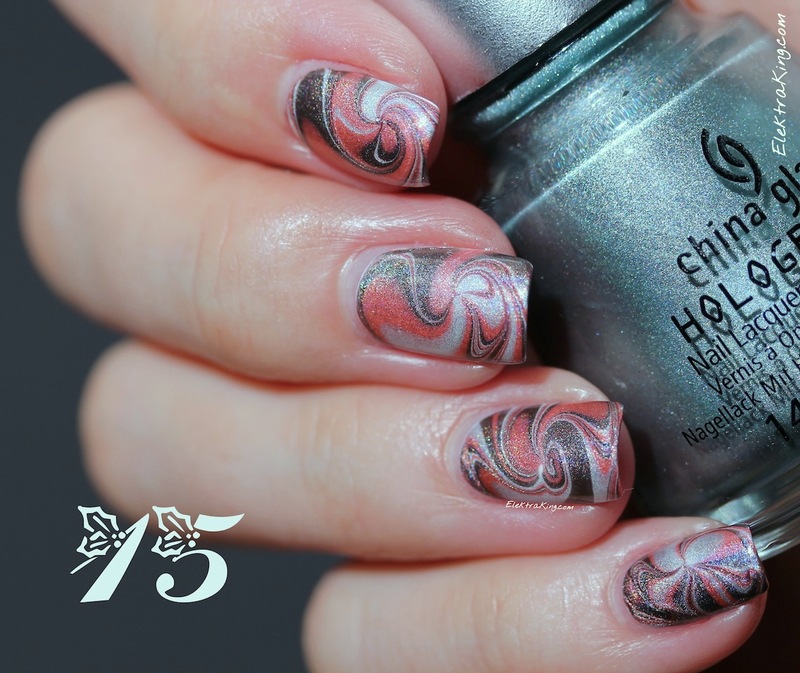 Just found your blog and it’s full of great nail painting and inspiration. Keep up the good work. This Snowy Night is really impressive. Thanks so much! 🙂 I’m really glad that you like my blog! 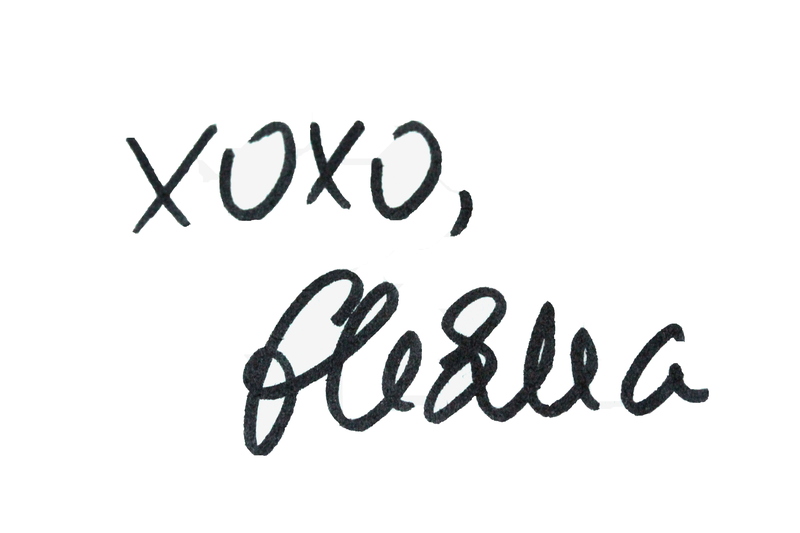 And thanks for commenting – I’m always happy to read what others think about my posts! Making progress? I think you have been a real pro for some time. 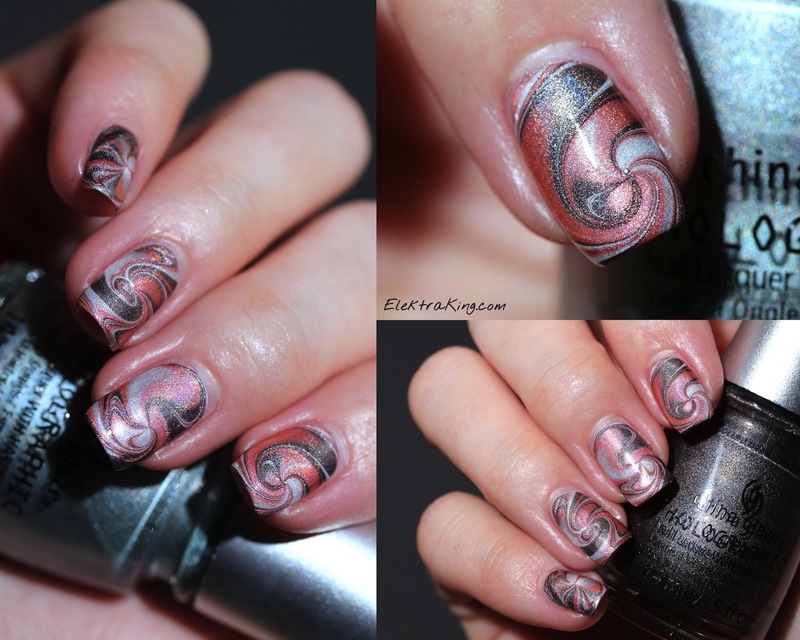 The marble that you did for your Mediterranean Extravaganza mani is my favourite water marble to date! This one is sooo beautiful too. 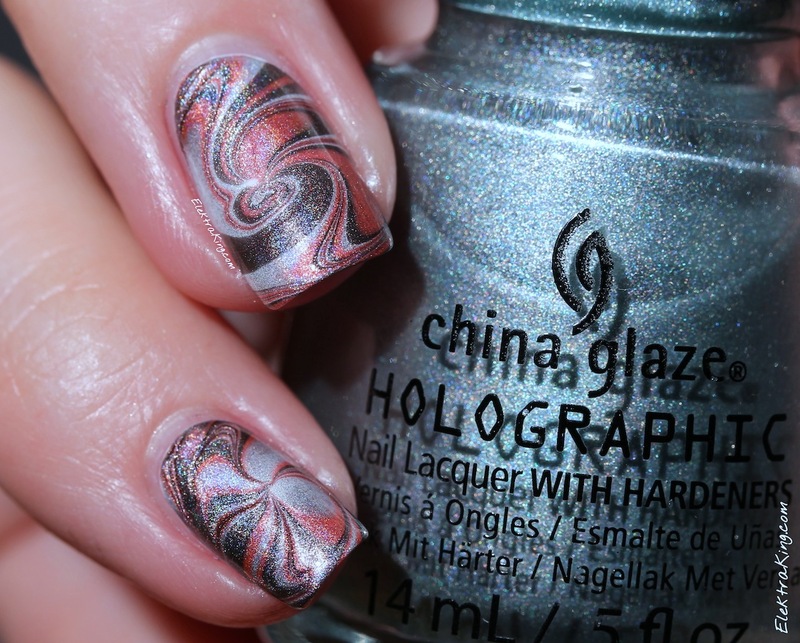 Love the holo shimmer!